Our teams have decades of experience managing complex projects across various market sectors nationwide. So, what sets Robins & Morton apart from other contractors? We believe it’s the unique knowledge of our people, enhanced by our Building Forward approach. 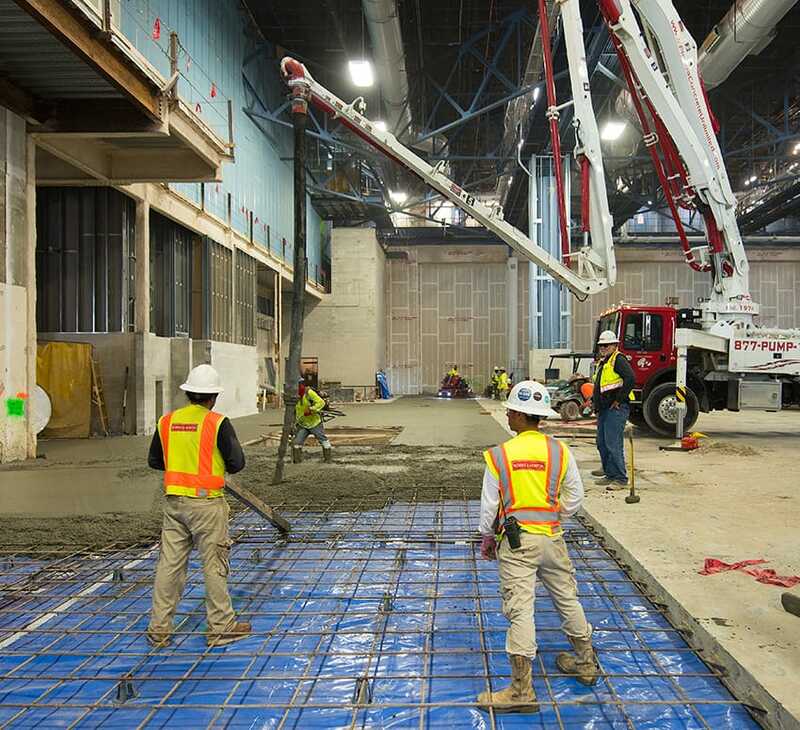 With an emphasis on collaboration and the use of Lean principles throughout all phases of planning, design, and construction, our teams efficiently deliver maximum value. Building Forward ensures that our people have expertise creating and leading project teams that value trust, transparency and accountability. C. Kemmons Wilson Jr. , ChairmanWilson Hotel Management Company, Inc.
Robins & Morton’s experience has shown that the most successful projects involve early collaboration among key team members during planning and design—typically the owner, architect, engineer, contractor and key trade contractors. We establish shared expectations, common processes, and a clear management structure. This fosters ongoing communication throughout the life of the project. Early collaboration results in a more comprehensive plan and a more detailed, achievable budget. Additionally, Robins & Morton employs a process we call continuous estimating: a paradigm shift from the traditional idea that the estimating process ends when construction begins. By continuing to refine plans as a project progresses, we work to meet both design and budget goals with greater efficiency. Building on the trust established during planning, design and preconstruction, the project team transitions seamlessly into construction. Beyond the essentials such as schedule management, quality control and budgeting, Robins & Morton strives to be a true partner to our clients, design teams, and trade partners. While we benefit from best practices learned throughout our more than 70 years of operation, our jobsites are also hubs of industry innovation, with our people continually working to find better ways to perform everyday tasks. This spirit of continuous improvement ultimately leads to better communication, new ways to encourage safety, the best utilization of onsite talent and greater efficiency with both time and materials. Robins & Morton has extensive experience with many delivery methods, including Integrated Project Delivery (IPD), Design-Bid-Build (DBB), Construction Manager as Agent (CMa), Construction Manager at Risk (CM at Risk), Design-Build (DBa), and Design Assist. We work with our clients to evaluate schedules, budgets, team members, and community impact to determine the best fit for every situation. Regardless of the method chosen, we will collaborate to develop a custom solution for each project. We value your business and the opportunity to become your long-term partner and trusted advisor. 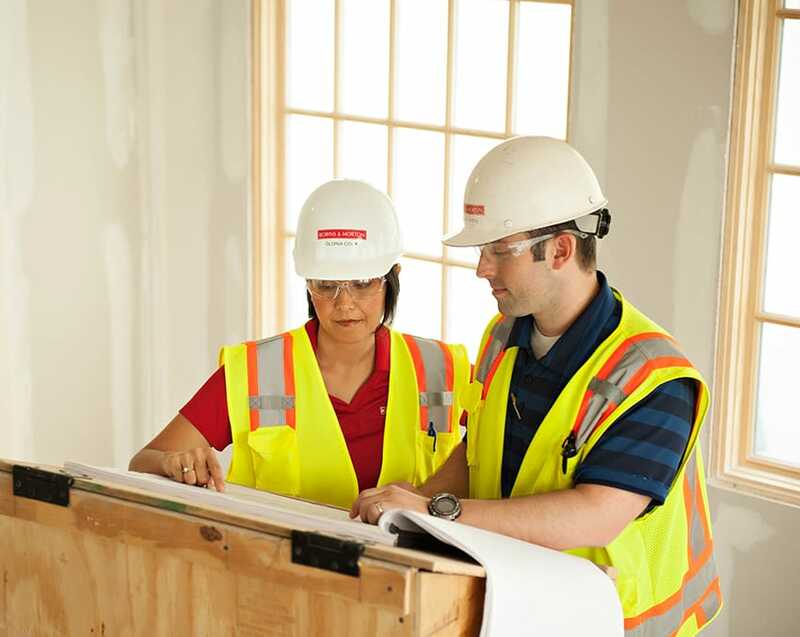 We understand that we have to be more than just a construction manager. In addition to our construction management services, Robins & Morton also has specialized staff with the skills to self-perform concrete, low voltage, drywall, general works packages and other services. Our self-performed delivery ensures quality craftsmanship, greater control of scheduling and more detailed cost estimates for our clients. Because we care about the communities where we work, Robins & Morton is committed to protecting the environment by reducing waste and environmental impact on each of our projects. We tailor sustainable, knowledge-driven solutions for every client and project. Our 80+ LEED Accredited Professionals, LEED Green Associates, and Green Globes Professionals direct the national dialogue for green implementation through leadership in the U.S. Green Building Council and ABC’s National Green Building Council. Robins & Morton is a USGBC Gold Member, a Certified Education Provider, and frequently ranks among the nation’s Top 100 Green Contractors. Even if a project isn’t pursuing a green building certification, we still look for opportunities to utilize sustainable construction practices and building materials. The Robins & Morton team has genuinely been a trusted friend that goes beyond just the bricks and mortar of a construction project. 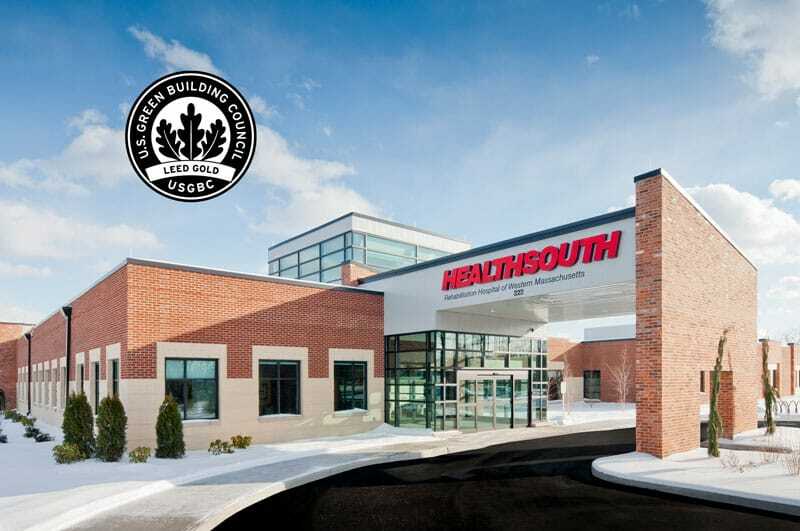 On behalf of the [Encompass Health] staff and patients, we would like to thank you again for this amazing hospital building. Robins & Morton’s culture of innovation and integrity embodied the fundamentals of Lean construction long before the term gained prominence. The guiding principles of Building Forward—collaboration, leadership development, continuous improvement and creating a learning culture—integrate Lean tools and processes into every facet of our business. 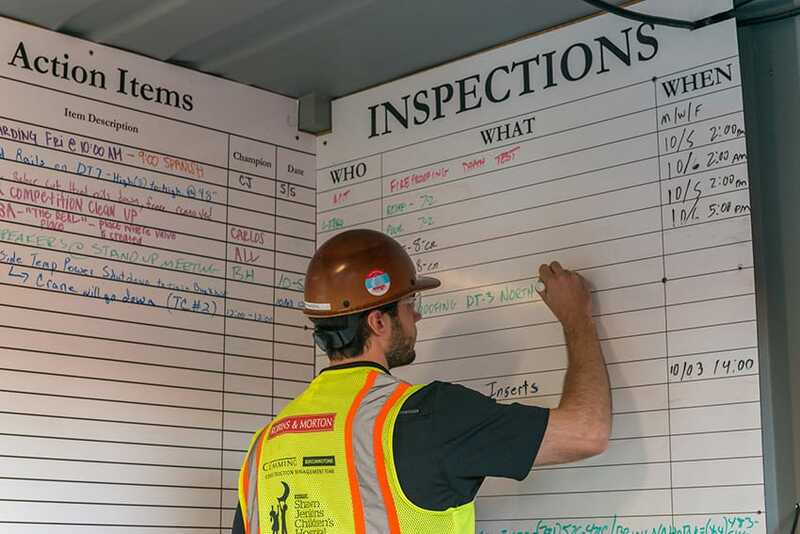 Using the Lean approach, our project teams consistently experience measurable improvements in coordination, communication, quality, cost, and schedule. Most importantly, it fosters a heightened level of collaboration with our design teams, trade partners and our clients. Robins & Morton’s culture of continuous improvement and education is perhaps best illustrated by how we seek out emerging technologies that can benefit our clients the most. 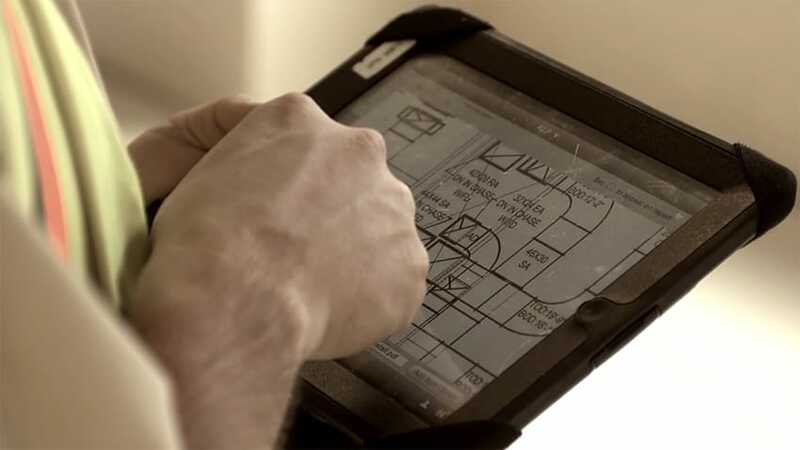 We use tools that will improve the efficiency of our project delivery, reduce errors, increase the accuracy of our estimates, and enhance visualizations. But most importantly, we use technology that makes sense and clearly adds value to your project. 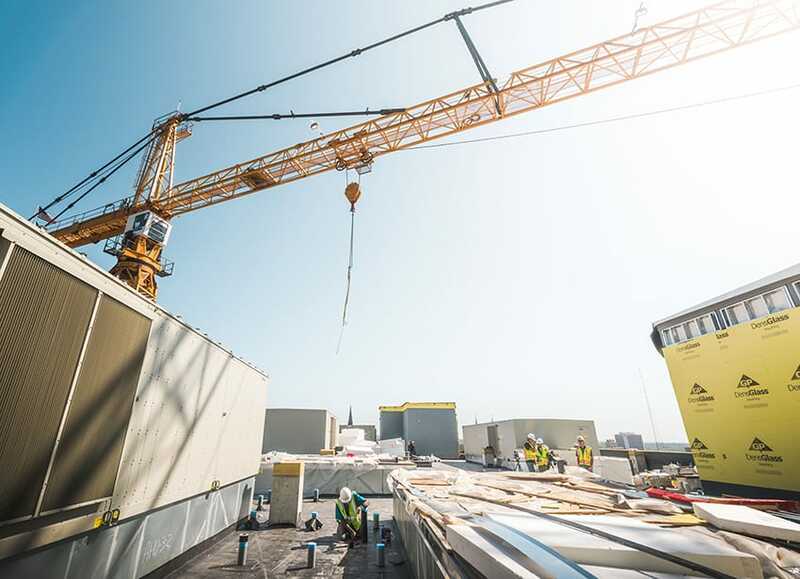 From preconstruction to closeout, we utilize technology to support communication, project management, quality and safety, seamlessly transitioning between each phase. Human Performance – This approach incorporates an understanding of human and organizational performance, including human error with an emphasis on expected behaviors and consequence control methodologies to ensure risk minimization and elimination. 12 Seconds to Safety – This personal risk management tool supplements the pre-task planning process and promotes employees to engage the mind before the hands by pausing to ask themselves questions related to the task before acting. Safety Appreciation/Recognition– Recognizing safe behavior promotes safety awareness and immediate positive reinforcement to individuals demonstrating safe behaviors. Safety Lunches – This bi-monthly practice provides a regular forum to discuss, recognize, and reinforce project safety expectations. It also promotes a culture of caring between all project employees. Safety Management System Assessment– This assessment benchmarks a project based on key performance indicators required of the entire project team to effectively manage safety. Senior Leaders Assessment of Field Safety Excellence (S.A.F.E. Walk) – This practice actively engages company leadership in day-to-day jobsite operations, ultimately creating the opportunity to interact with the craft professionals on a personal level around our safety message. Robins & Morton is committed to quality and pursues it with intention on every project, every day. We take great pride in our successful quality control program, which hinges on two key principles: doing things right the first time and working collaboratively with our trade partners to ensure shared understanding of tasks. After a thorough project evaluation, we implement a plan to control quality, then follow through to ensure that we have achieved our clients’ goals, as well as our own. The rigor of our quality management program is proven to reduce re-work in each activity—saving time and money—and to produce a superior product to our clients’ satisfaction. 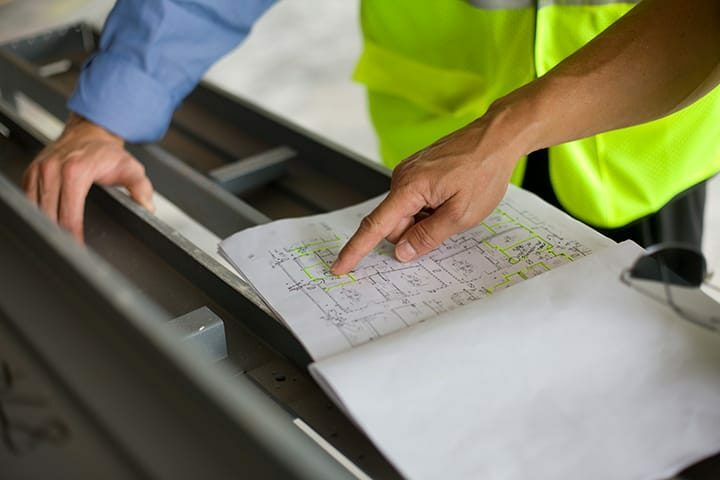 Although we have stringent quality standards that we apply to each project based on decades of experience, we recognize that every project needs customized planning to achieve the ideal finished product.